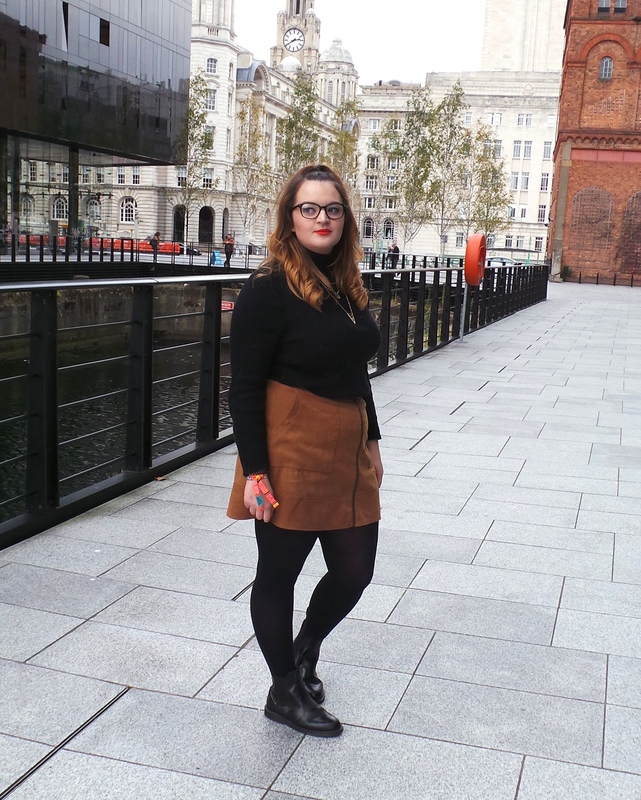 This tan skirt has become my most worn piece, and it was super cheap from New Look. They also have a grey version on site which I have my eye on! Autumn/Winter are my favourite times of the year when it comes to fashion, as I love nothing more than wrapping up warm is a pair of cosy tights! 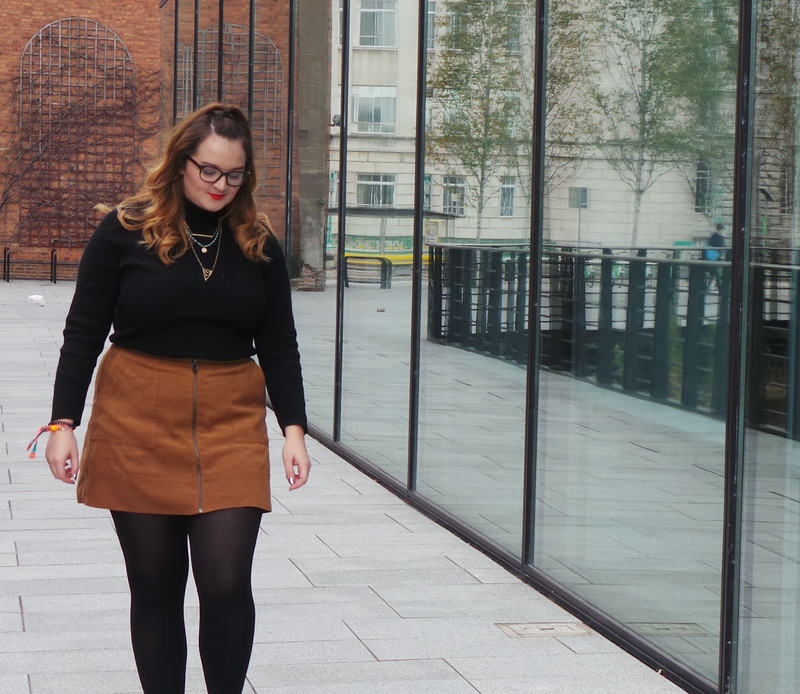 I love that roll necks are back in this year so I picked this one up from Next, it was a little pricier than those from Primark but the ones I bought from there last year were see-through and I have no time for that! I’m usually all over chunky statement jewellery but I fell for this delicate necklace from Happiness Boutique, I’ll probably do a separate post on it as it’s so pretty! My boots are a new purchase that I fell in love with. They are Dr Martens Chelsea Boots that I adore. Will definitely be doing a post on these, I haven’t taken them off since they arrived..! Big love to Aisling for taking these pics! LOVE this look, it’s so perfect for autumn 🙂 I’m still on a mission to find a skirt like this that suits me, will have to head into New Look.